Once known as the Sullivan House, this house may now be home to Kappa Alpha Fraternity… though I am not positive of this. 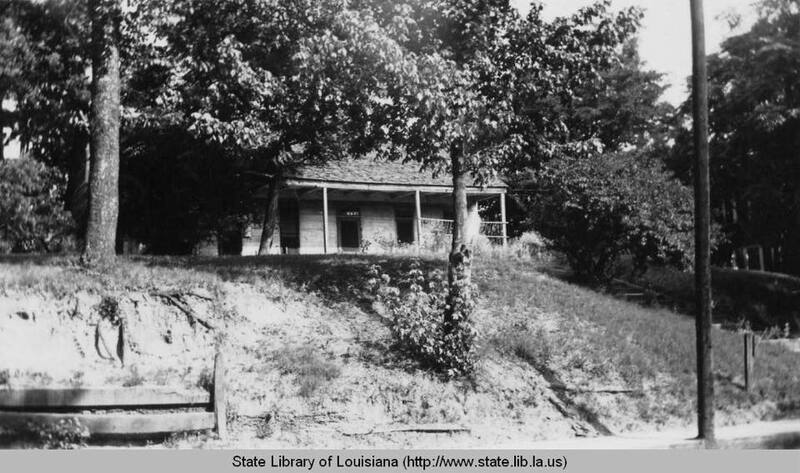 This is the Home of the woman who refused to marry Ulysses S. Grant, located in Natchitoches Louisiana. “Grant was immediately enamored with the beautiful young bell and soon asked her to marry him,” the paper continued. The house became known as the Sullivan House. Whether or not it is still called that, I am not certain. I posted this photo and information a little over a year ago, and there were some who thought this Sullivan House is still standing today, and is now the Kappa Alpha Fraternity house. Mary Elizabeth Campbell was the sister of my 3rd great grandfather Francis (FM) Campbell. I must say I was extremely excited to find this article in reference to her yet, extremely confused regarding the orphaned as a young child part. From the information I have gathered, Mary moved from Virginia to Louisiana in 1830 with her family. I always wondered if she accompanied her parents when they left Louisiana for Texas as I know her brother Francis did not…not immediately anyway. Well, my search for her parents will forever continue. Thank you so much for posting this story!